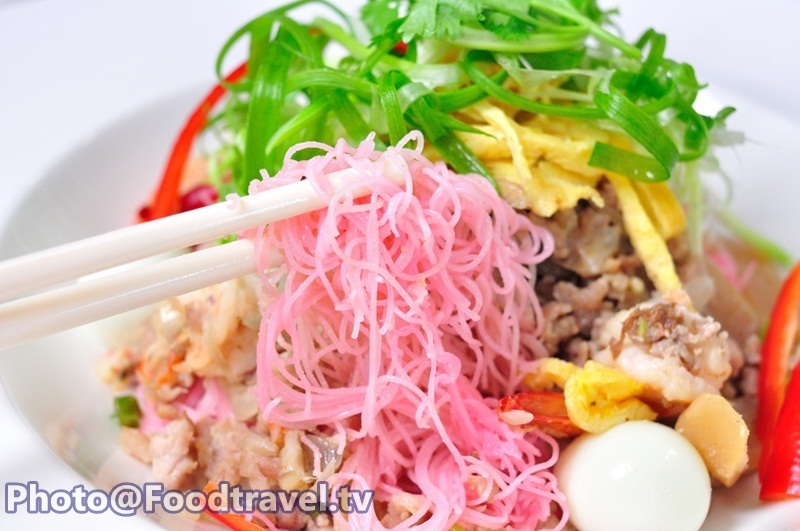 Stir - Fried Pink Rice Noodle with Coconut Milk (Sen Mee See Chom Pu / Mee Ka - Ti See Chom Pu) - This menu has similar flavor with coconut milk noodle. But adapted to modern tastes. 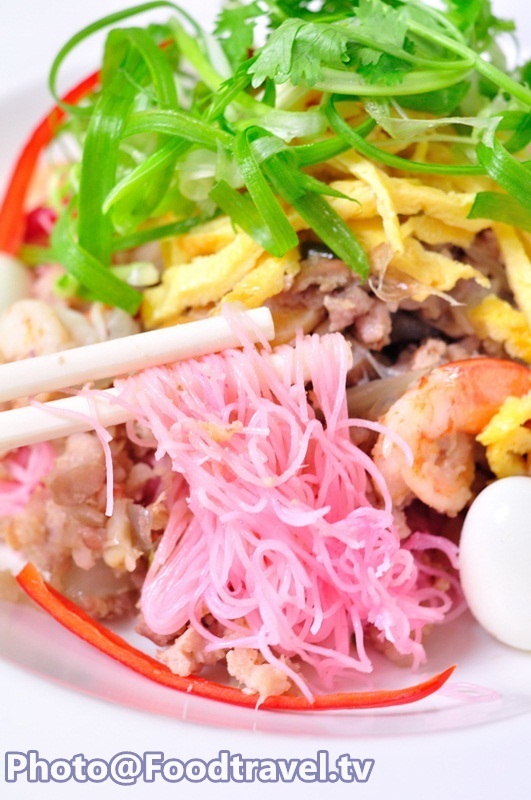 Add more nutrients for the dish with pork, eggs, shrimp and squid. Offers abundant of your love with this delicious pink dish. 1. Prepare noodle, pour oil into a pan over medium heat. Follow with Yentafo sauce, coconut milk, salt and stir to combine. 2. 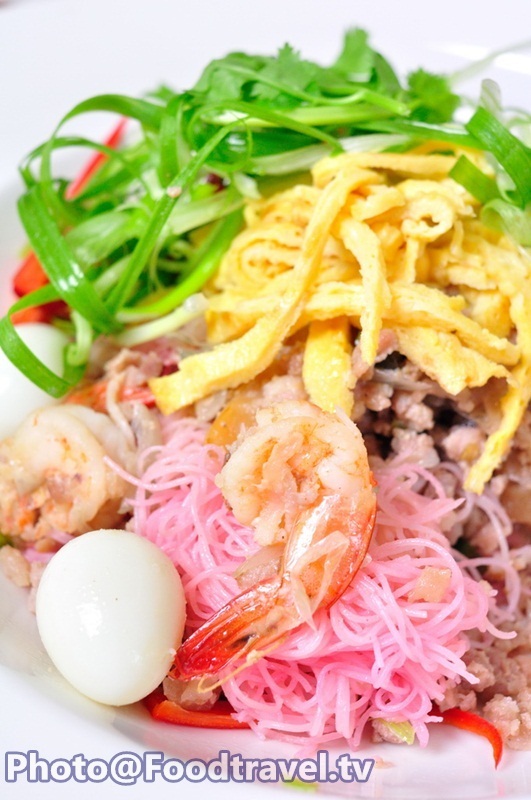 Put rice noodle to fried and mix thoroughly until noodles are cooked and change to pink. Set aside. 3. Made rice noodles dressing sauce by heat 1/3 of coconut in a pan over medium heat, and fry shallot, chopped garlic, coriander root together with coconut milk. 4. Fry ground pork, add sugar, soy sauce, chicken powder, chopped chilli and the remaining coconut milk. 5. Put shrimp, squid and boil until cooked. (It is not coconut milk), turn off the heat and set aside. 6. Serve noodles on a plate. Dress with coconut milk sauce and top with sliced quail eggs, spring onion, and coriander. Serve together with lemon and finish. 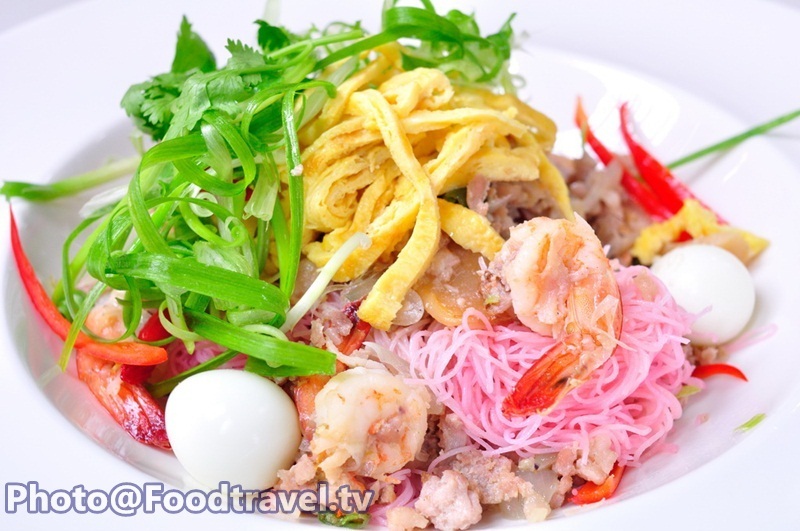 Stir-Fried Pink Rice Noodle with Coconut Milk (Sen Mee See Chom Pu / Mee Ka-Ti See Chom Pu) - This menu has similar flavor with coconut milk noodle. But adapted to modern tastes. 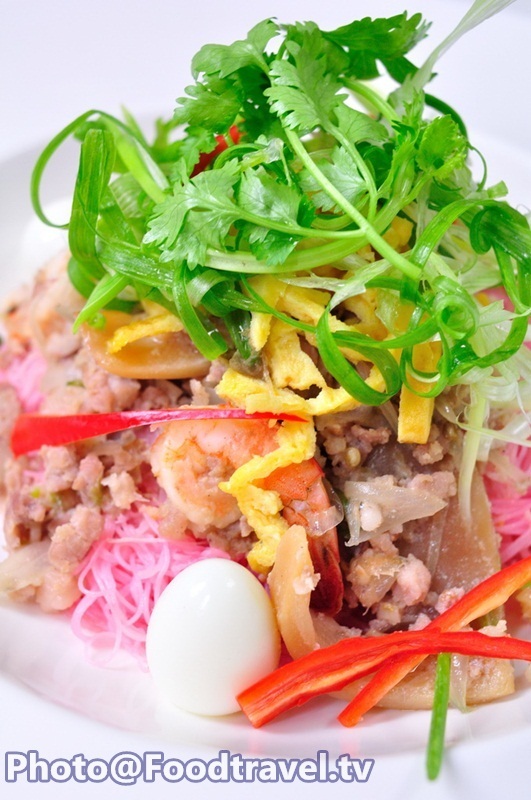 Add more nutrients for the dish with pork, eggs, shrimp and squid. Offers abundant of your love with this delicious pink dish.